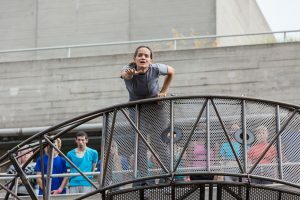 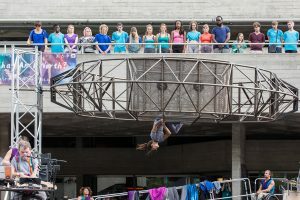 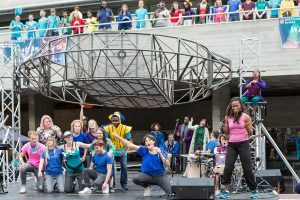 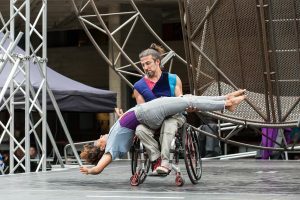 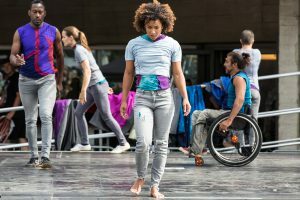 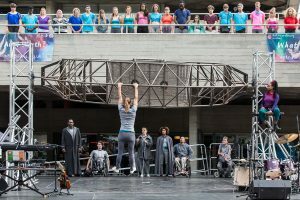 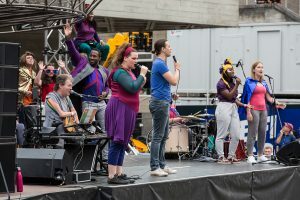 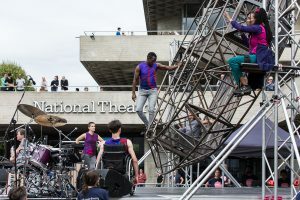 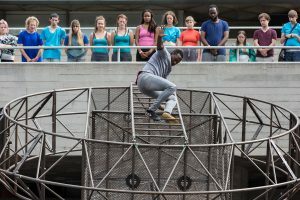 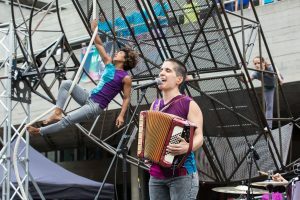 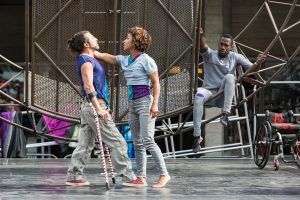 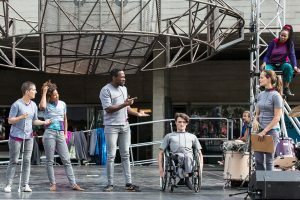 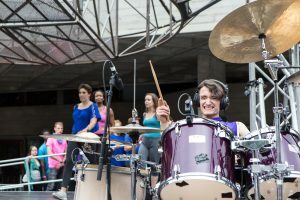 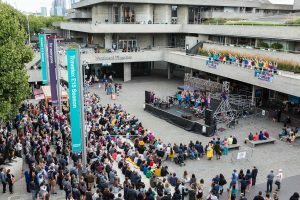 We finished off our Extraordinary Bodies summer tour with a triumphant weekend performing outside the National Theatre as part of their River Stage festival, presented in partnership with Southwark Presents. 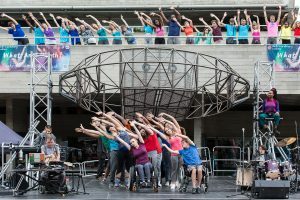 A 30 strong community cast made up of performers from National Youth Theatre, Extraordinary Bodies Young Artists and Highshore School accompanied the 7 strong cast of ‘What am I Worth?’ for audiences of over 2000 people. 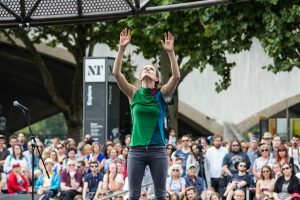 What am I Worth? 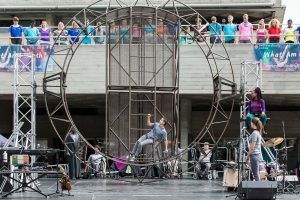 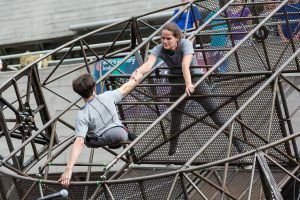 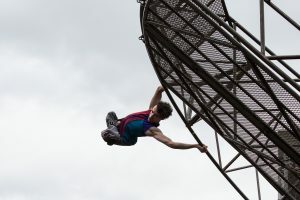 is a groundbreaking devised show with a diverse international cast of circus, theatre and music practitioners who perform on and around a unique large scale spinning set. 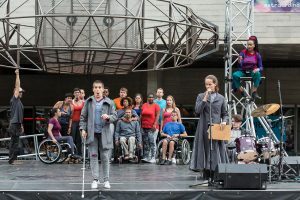 With a new musical score performed live and a community cast in each location, the show is BSL interpreted and has audio description as part of its narrative. 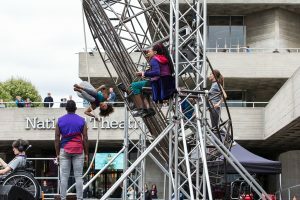 It toured to Carlow Arts Festival, Glasgow Merchant City Festival and Sunderland Tall Ships before finishing at National Theatre River Stage. 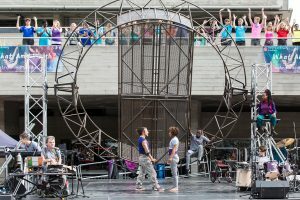 Extraordinary Bodies is our unique partnership with Diverse City, creating circus that truly represents the diverse makeup of society: onstage, backstage and in the audience. 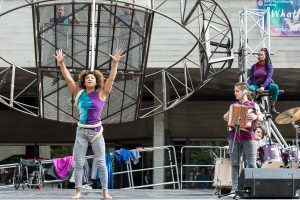 Find out more about Extraordinary Bodies: What am I Worth?. 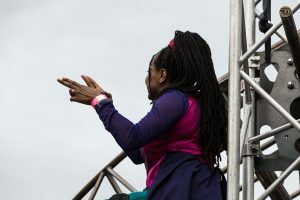 All images by Rob Harris Photography.